Somnambulant Gamer: Razer Has New Goodies! Recently, at PAX Prime Razer had some fun items to reveal! I stopped by their booth and attended their panel during the Expo and am excited to show you what I saw. I looked briefly at the Wildcat, an XBox One controller designed specifically for FPS games. I am not an XBox person, but I liked how it felt in hand (although the lovely model in the picture is Hilmar, from Razer). It sports aircraft grade materials, a customizable trigger sensitivity (for those who like to spam), built in microphone muting, 4 programmable buttons, triggers on the bottom (these are my favorite oddly enough, removable if you don't prefer them), is able to accept programmable control configurations of profiles which you can change on the fly. All in all, it is a damn good controller, and I'm thinking about picking one up to work with my PC. 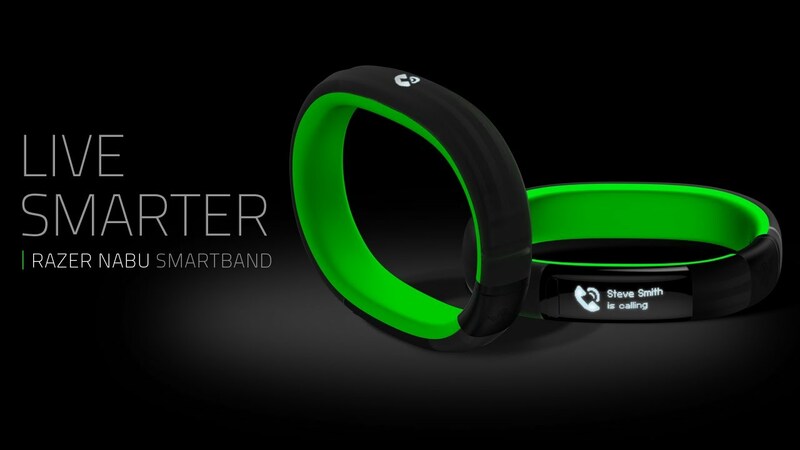 Also revealed was the new Nabu. This Nabu sports an OLED noification system which is fed by a Bluetooth LE connection to your smartphone within 10m and can as a form of Fitbit Light. These pretty babies go up for preorder on September 15 and begin shipping sometime in October. Also, I love their ad! I'm so thankful for the new wristband design! I have tiny wrists, and Nabu X does not like to stay put on the smaller clip slots, and falls off from time to time. I have to admit, I don't care much for lifestyle apps, but at the Razer panel at PAX Prime, they gave away a blue PAX Prime exclusive Nabu X. Once I had it charged, I decided to try it out, and within 2 hours determined I needed this in my life! Preferably in a size S/M. That is me, sporting the exclusive Nabu X. I have a love/hate relationship with this device. I love that I can wear it and know when my phone is going off discreetly, if it's a notification, call, or alarm, and it acts as a fairly accurate pedometer, but not so much as a sleep analyzer. This is super helpful for when I set my phone down and am in a different room out of earshot! Or at the convention, when I couldn't hear anything, and it let me keep my phone safely in my bag while navigating! Additionally, it survived a torrential downpour while on my wrist for a good 45 minutes, not bad! A full charge lasted me for 11 days, despite the specs stating 7. It has some downsides, but most of these should be fixed once the 2.0 app launches with the new Nabu. The notification lights only have three you notification, phone call, or alarm, the new app will allow you to customize codes with the 3 led lights, so I could set 2 of the 3 LEDs to red and leave one blue if my mother was calling as opposed to the 3 blue when anyone else is calling. It also has a tendency to drop bluetooth connection. For example,when set to automatically enable sleep mode, it will randomly stop receiving notifications even before going to sleep. I found this can be solved by a simple disconnect reconnect of the bluetooth device, but it can still be annoying if you're not watching for it. I prefer not to use social media so I unfortunately cannot comment on the functionality of the Handshake option which allows you to swap contact information with another Nabu user.Otherwise, I'm very happy with it and look forward to giving the new Nabu a try!